More pics after the fold! 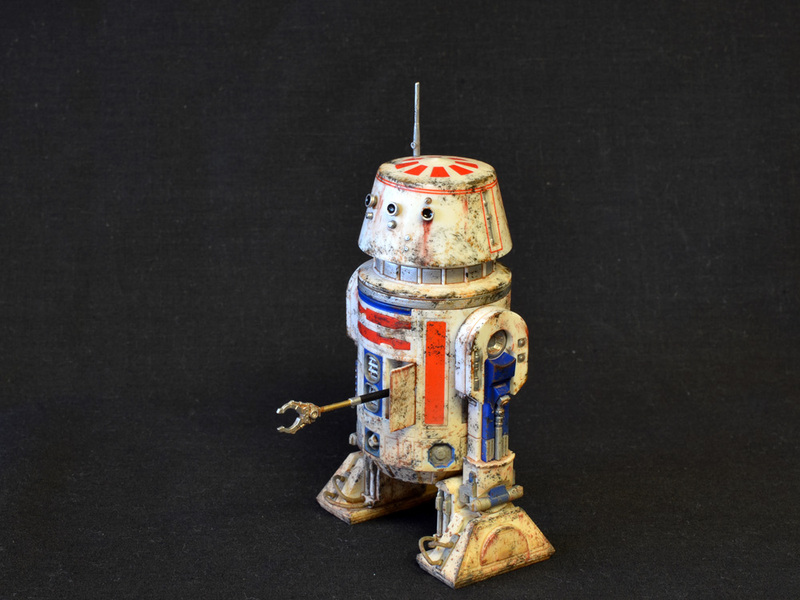 No wonder R5’s motivator was bad after such poor maintenance. More pics after the fold. 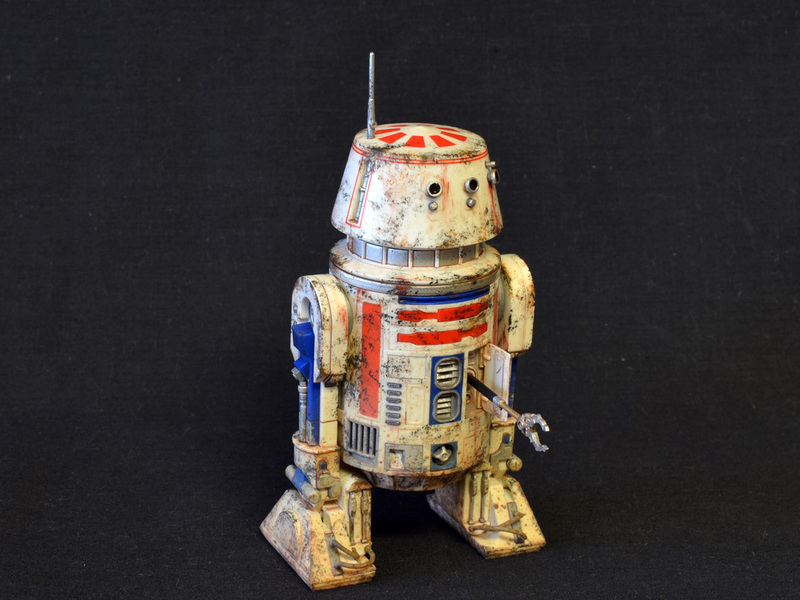 The hero of the Star Wars franchise can get down and dirty! 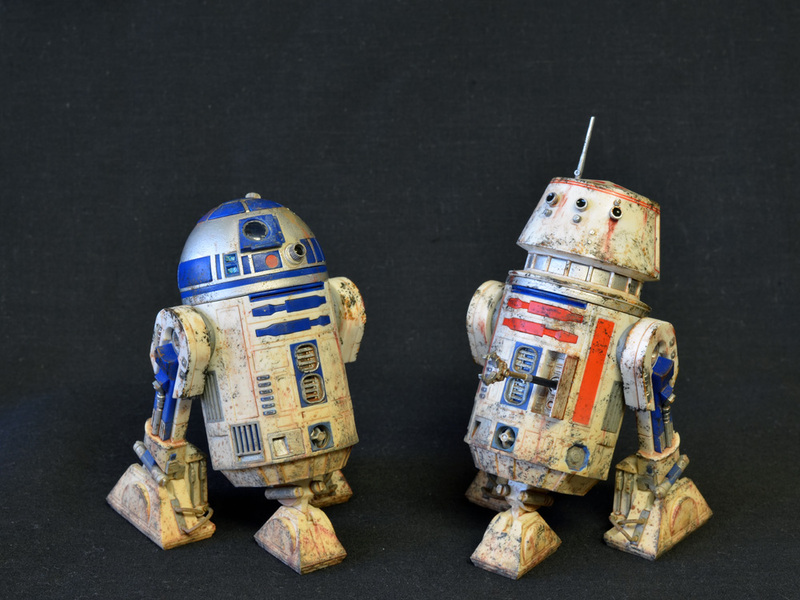 Since Disney took over the Star Wars property, it has been a licensing free-for-all, with a massive influx of products from every manufacturer imaginable. The best toy and model products, of course, are coming from Japan. 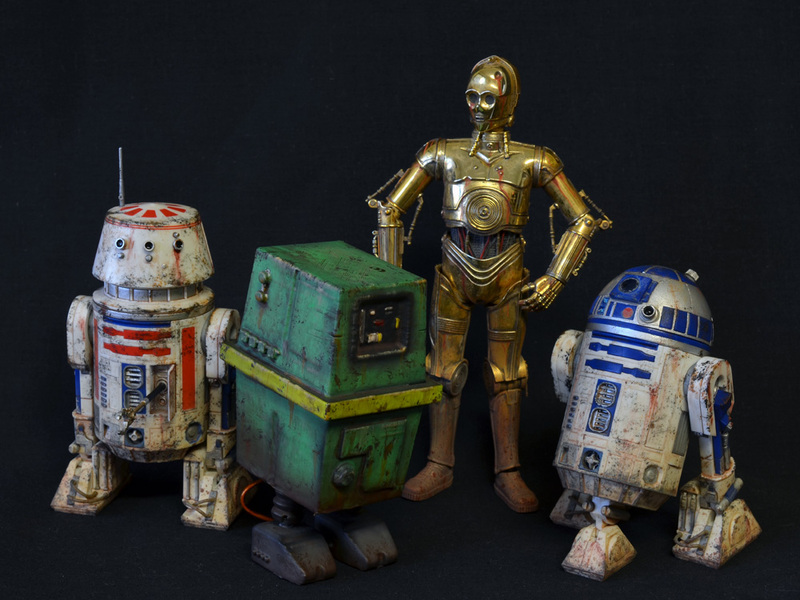 Bandai has been making some excellent new SW toys and models, including these new 1/12 scale plastic kits of some of some of the franchise’s most famous droids. The kits are masterworks of engineering, just like Bandai’s Gundam plamo lines. 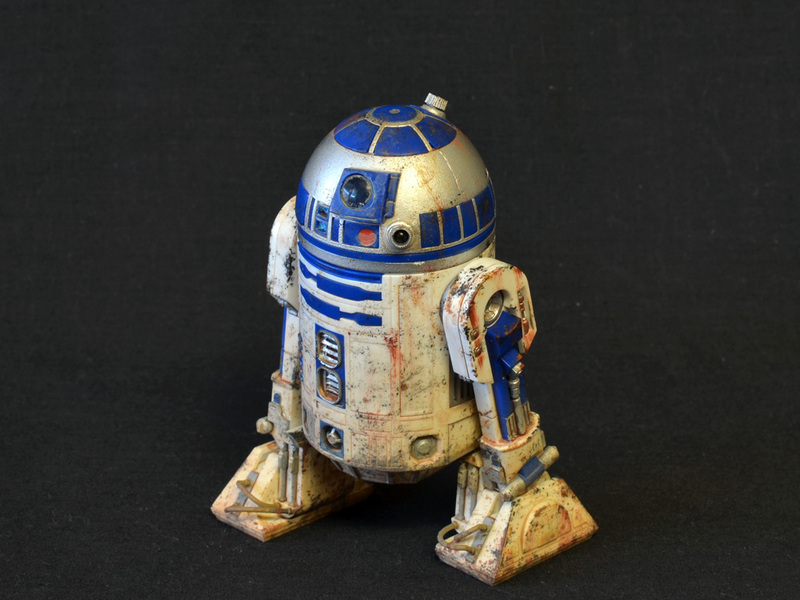 They are designed to be built without paint, with most parts molded in color and decals for the rest. 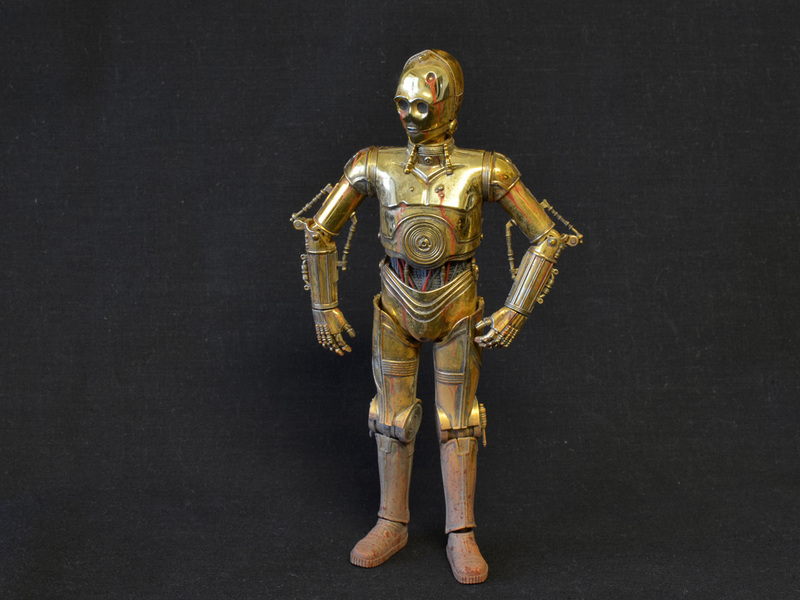 In C-3PO’s case, the entire kit came with a vacuum-formed chrome finish. I used the kit colors, but obviously couldn’t leave them so crisp and clean. I applied the kit decals, painted the silver bits with a better metallic color (Monster Kolor! ), and then hit everything with a coat of satin varnish. 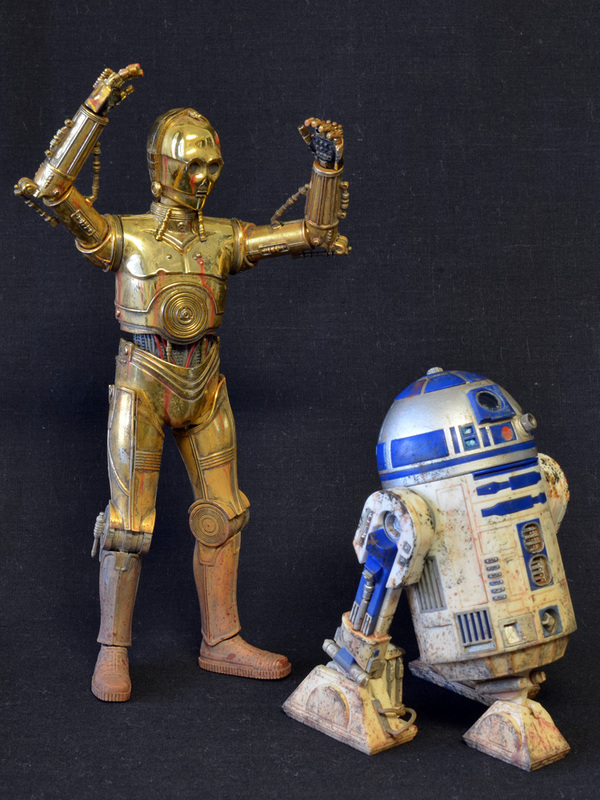 3PO did not need any additional paint except for the wires, belly bit, and his palms. 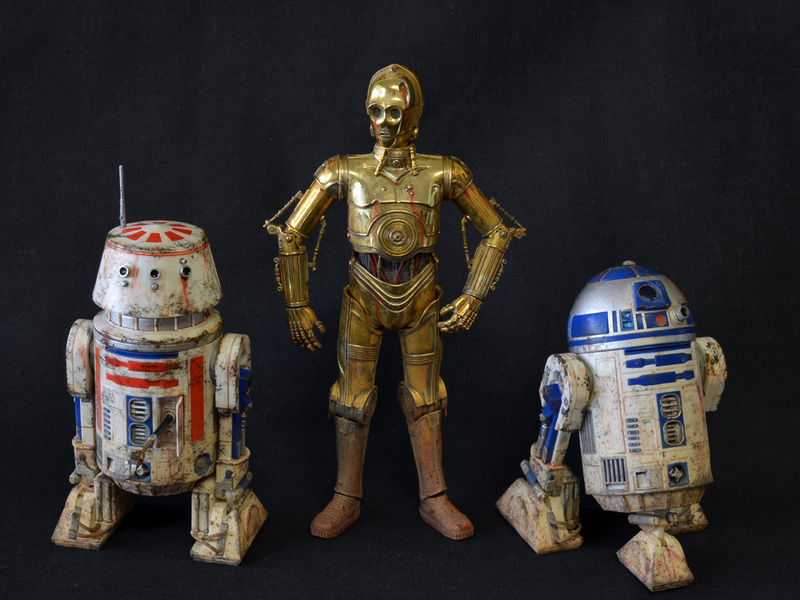 From there, I went to town with the weathering, showing these three after some hard times trudging through the sands of Tatooine. I’ll be posting full galleries of each this week, so check back! 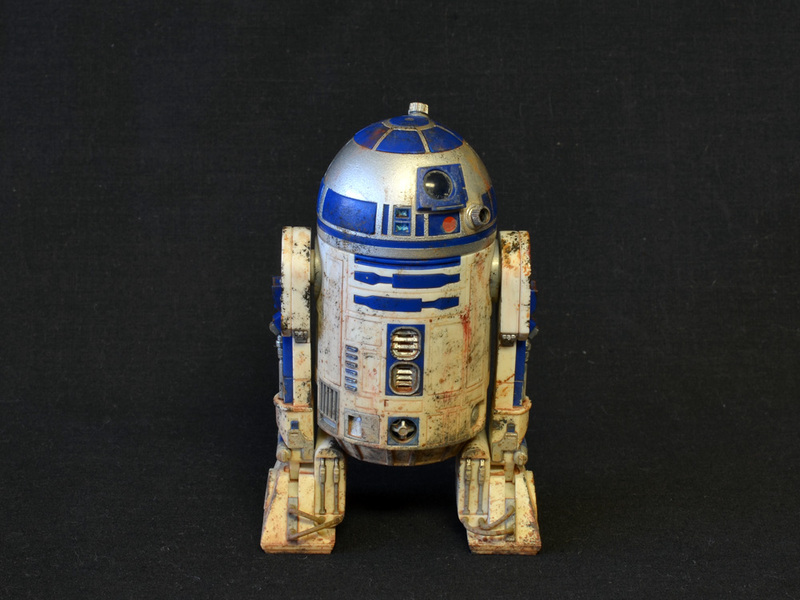 Here’s an extra pic with a cameo appearance by my PRHI 3D Printed Gonk Droid!